Going to Carolina-W.I.S.E. Project 2017 – Dancing in the rain! ​It has been so bitter cold here the last couple of days, here is Edmonton, Alberta, Canada and though we are fairly used to the winter cold here in the great white north it has been more than cold. It has been exceptionally way below freezing temperatures all week and the wind chill is so intense that it feels like the cold has icily embraced your bones. It is not very motivating to say the least and hot showers, fuzzy blankets and good books have been my evening reprieve. Today I was listening to James Taylor’s Going to Carolina in my mind and literally trying to get my mind to take me somewhere warmer. On Sunday I went for a float. I have been floating for over a year now so I am kind of a professional as floating goes. This basically means that I am experienced in the art of doing nothing and laugh all you want but I am pretty damn proud of this fact. No joke, discovering sensory deprivation has been a wonderfully serene addition to my life. I still struggle on a daily basis with trying to fill my brain with way too much stuff. I get excited about something and I want to jam all of this new information into my brain as fast as possible and often I get overwhelmed. I used to be that mom that went to bed at midnight but at 2 am I was still making my grocery lists, planning my schedule around the girl’s activities, calculating bills and making endless to do lists in my head. To those of you that can’t sit on the toilet without reading the back of the shampoo bottle I can relate. We have hardwired ourselves to constantly receive and process information and nowadays with social media our brains are busier than ever. We are excessively over stimulated. We do not know boredom and we certainly do not know what to do with silence. We crave silence yet the moment we get a taste of it we spit it out and sprinkle it with noise to make it palatable, or at least what we perceive to be most familiar. silent space with thought I was quite quickly able to resist. The float tank expedites theta waves so it is doing some of the work for you already by taking the stimulation away. Theta brain waves are the brain state of REM sleep (dreams), hypnosis, lucid dreaming and barely conscious state just before sleeping and after waking. If you truly want to experience getting away from it all I highly recommend floating. The solution unlike bath water is very dense, in fact approximately five times denser than the Dead Sea. It is mainly Epsom salt, it feels silky smooth against your skin and you are effortlessly buoyant. You are literally floating in the darkness with no outside disturbances. When you don’t have the pressure of gravity on your body and you are not responding to stimulus (such as email and texts, noise of traffic etc) your blood pressure decreases and your cortisol levels drop (those are your stress hormones). Your mind and your body are experiencing a state of total freedom, you cannot feel the water and you are quite literally in the optimal environment to experience complete relaxation. There is an eventual increase in your endorphins which I am sure you all know is your happy hormones. We all want more of those, more is good!! miraculously enchanting way. 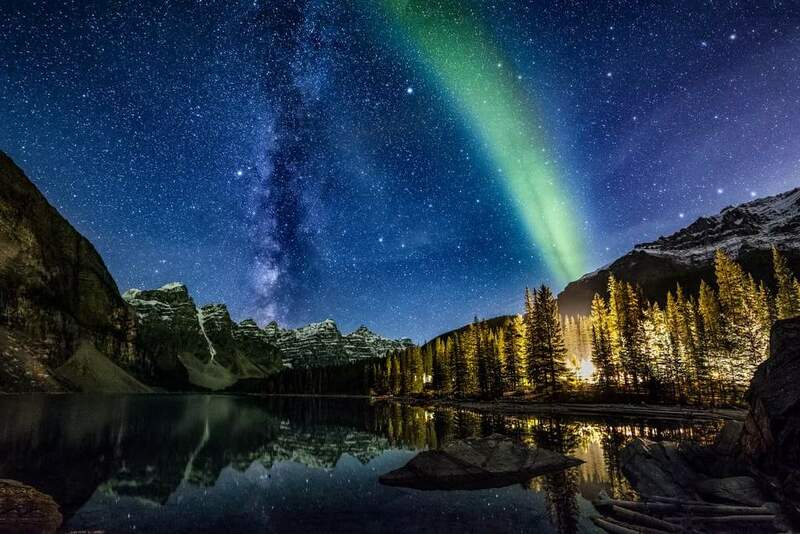 It was the esteemed Aurora Borealis in a way that I had never experienced before. I was captivated by the mystic beauty of it and moved almost to the point of tears. The peaks of the mountains surrounded the lake in a protective hug and I felt untroubled and safe. I have no recollection of the amount of time that passed as I lay suspended in virtual reality in that picturesque mountain oasis enjoying the Northen lights. It is such a hard thing to put into words, anything I write seems slightly inadequate, but as I sit here thinking about it I am once again overwhelmed by the memory. The gentle music that plays as your float time is ending startled me awake and I had that feeling of falling slowly from heaven and when my eyes shot open I thought I was still in the middle of the lake but all of the sudden I was keenly aware of the darkness. It was unnerving for a second until my mind caught up with my body and I realized where I was. For the remainder of the day I felt weightless, like I was floating through my day without a worry. that was as exquisite as it was memorable. I will never forget and though I know that I can never recreate that exact experience I am really excited to know how far my mind will allow me to go in the future. For days after I would think about that wondrous place in the mountains and when I opened up my computer there it was on my home screen; Moraine Lake in Banff, Valley of the Ten Peaks. I am in love. Swoon. 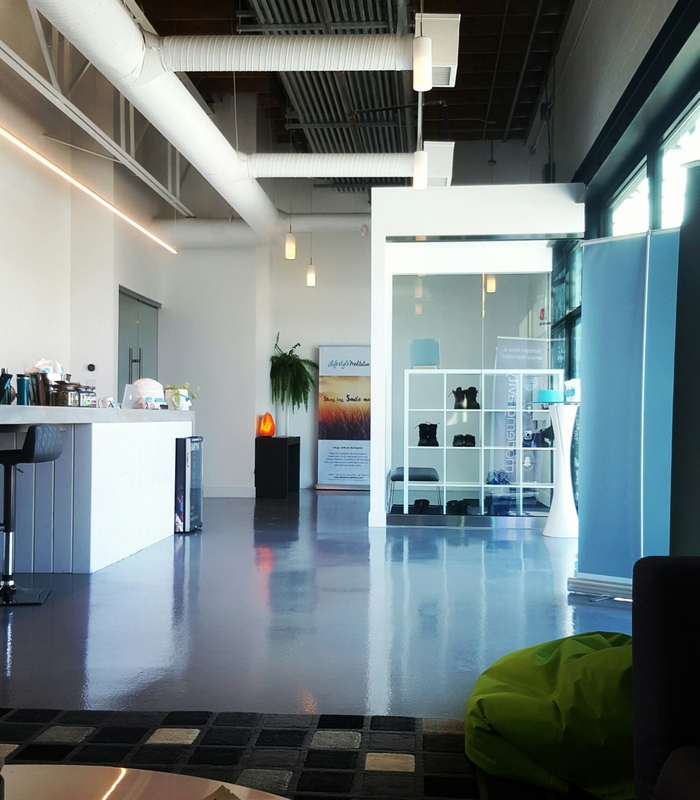 I float at Modern Gravity here in Edmonton and it is a pretty unique place. They have actual float rooms instead of pods so if you are worried about feeling claustrophobic there is no need. The atmosphere is comfortably calming and the rainfall showers are such a nice treat. Floating is a gift that you give yourself that requires zero effort for substantial gain. There are many things you can do to ease stress and recalibrate your body and mind, Floating is a very good choice. Next postI wrote this because the internet pissed me off -true story!! I’ve never heard of floating but I would love to experience it! Sounds divine! You should absolutely try it! !